Look out! We’ve got yet another charging solution coming your way. 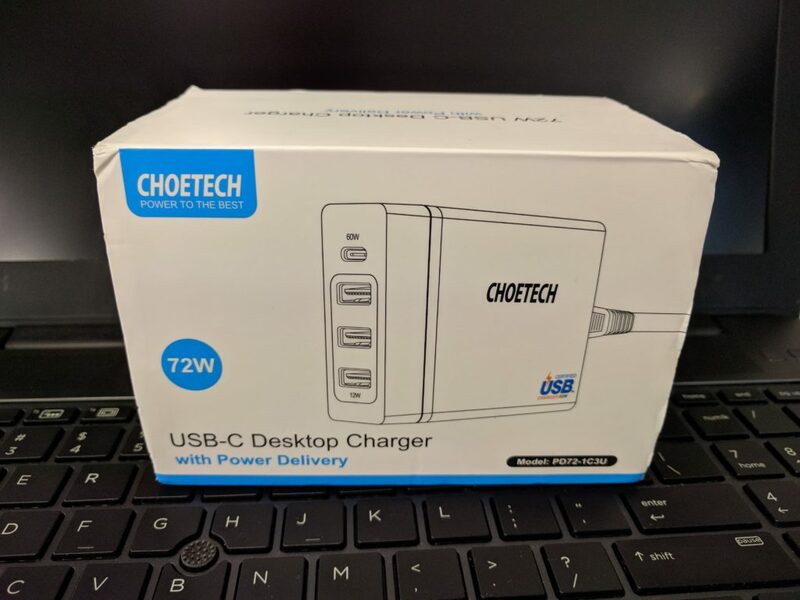 Today I’m going to take a look at this CHOETECH USB-C/USB Desktop Charger. 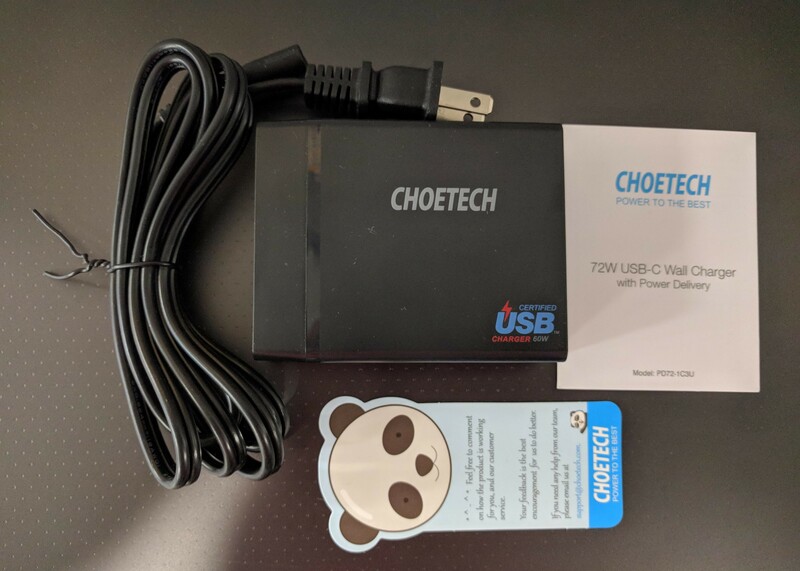 I opened up the packaging and found 4 things, A power cord, the device itself, a short and sweet user manual, and a cute little panda bookmark. I immediately connected the power cord and plugged in a few o f my daily devices to get a charge going. It was definitely a nice addition to my work space. It’s small, coming in at 3.58 x 2.83 x 1.08 inches in size and weighs just about 8.5 ounces. So with desktop space often being valuable real estate, it’ll fit nicely in a corner out of sight, but easily accessible. It comes equip with 2 charging options, three smart USB-A ports and one power delivery 60 watt USC-C port. This should be just what you need to charge those devices if you have to take it on the go, as long as you have a type “A” or “B” GFI outlet handy. Although, it’s not really considered a portable charging solution. 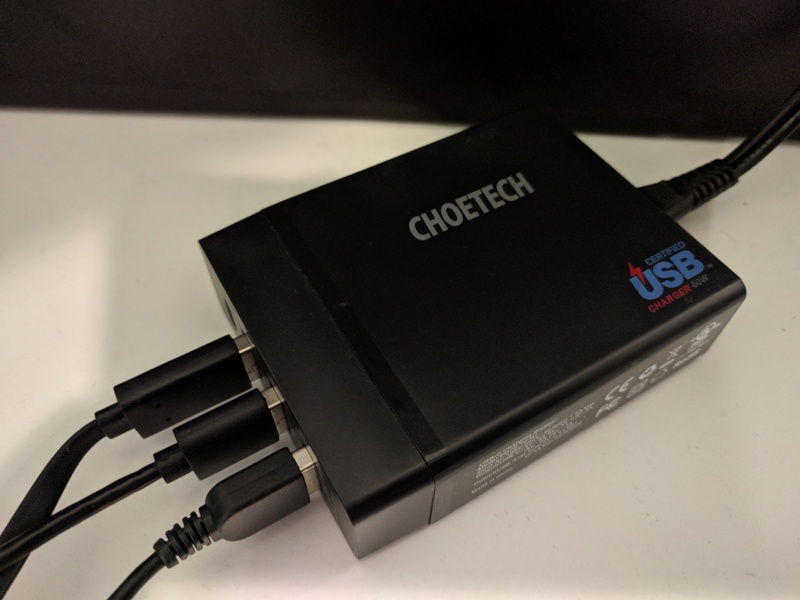 Overall, this CHOETECH Desktop Charger is a great solution for any desktop. It seems we can never have enough ways to charge something. 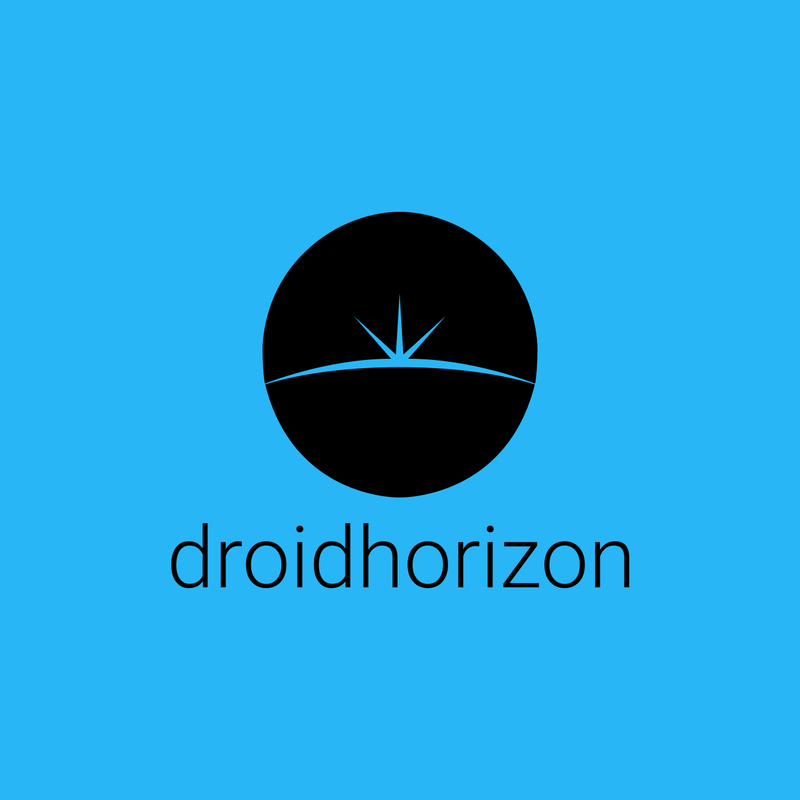 Having this device within reach is a great option. Personally i’ll get daily use out of it, and at the price of $35, it’s well worth it.